Casino Security – Suspicious Activity to Watch For – TAM Card® Nation in Vegas! As a security guard, one has to be aware of their surroundings at all times. The job at hand is to maintain the safety and security of the staff and patrons of an establishment, and to diffuse any potentially hazardous or disruptive situation before it can happen. But, what about taking on this job in a uniquely challenging setting like a casino? Casinos have their own set of security concerns to contend with including large crowds of people, large sums of money being passed around and also kept on site, and the risks that accompany any situation with alcohol present (including rowdy patrons and relaxed inhibitions). And, as one would expect, there will always be people who will try to cheat at gambling. 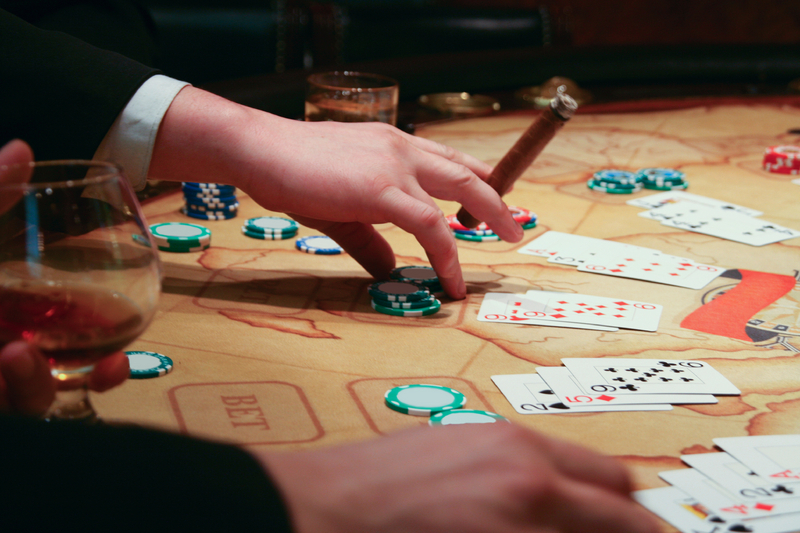 It takes a certain amount of skill and finesse to maintain order in a casino. There are many types of sophisticated security and monitoring systems in place in casinos, and they vary from location to location. We all know about the ‘eyes in the sky’, and different establishments are constantly introducing additional security measures to stay one step ahead of the cheats. Even given the sophisticated level of technology available today, it doesn’t mean security professionals on the floor can relax and go on autopilot. Famous cheaters such as Richard Marcus will tell you that in their opinion, technology currently being used won’t stop cheaters in their tracks. According to Marcus, “technology is still only as good as the casino’s workers, whom he fooled for years. If cheaters don’t draw too much attention to themselves, quickly getting onto and then away from the table, it’s unlikely their records will be checked.” (CNET News). Given this, one must continue to watch for suspicious behavior, your eyes, ears and instincts will always be the best tools for the job. Here you’ll find information on different examples of suspicious or disruptive activity to watch out for. Cheaters never prosper, and your job as a security guard is to make sure they don’t get away with it. Scammers are always finding new ways to cheat at casinos and in gambling, so it is incredibly important for security professionals to remain alert and stay up-to-date about new types of scams – your employer will tell you what they want you to watch for. In addition to what you’ll learn from your employer or security training program, keep an eye out for patrons who look overly nervous, sweaty or shifty eyed. Most cheaters get caught because they are easy to read, and if not, you can also catch them when they get greedy; an unusual pattern of excessive winning may be more than just luck. The variety of scams used to cheat are far too numerous to list here. For a succinct list of some of the most popular scams employed in Vegas casinos, you can refer to Vegas Chatter’s article, “The Most Popular Ways To Cheat in Vegas.” Once you’re familiar with some of the more common dupes and how to spot them, you are on your way to becoming a formidable security professional. However, one should be aware that it’s not just cheaters and thieves that need to be managed in a casino setting; security professional needs to be on the lookout for disruptive patrons, rowdy drunks, and even dishonest employees. No one likes to lose money, but look out for those who become overly combative or upset. Stress can make people do senseless things, and anyone who will argue with or become rude to a dealer or another player should be watched carefully to make sure they don’t take out their anger in an inappropriate way. One angry or disruptive patron at a gaming table can have an effect on their other patrons at the table that might choose to play elsewhere. As mentioned, it’s not just players and patrons a security guard should watch, casino employees should be observed as well. Casinos have all types of procedures in place to first hire honest and trustworthy individuals, and then to them from participating in scams or skimming off the top. However, you’ll always find the occasional bad seed, so be alert for employees skimming casino chips, or those who partner up with guests to help steal personal items like checked coats or purses. Ronald Petyak, a police official reporting to Pennsylvania casino officials on security measures in 14 of the state’s casinos recently said, “theft by casino employees is one of the most prevalent forms of theft, and the hardest to detect. More employee theft has been documented than theft by patrons.” He said one employee of a Connecticut casino was “caught placing $97,000 [in casino funds] in his socks.” (Pittsburgh-Post Gazette via SecurityInfoWatch.com). As a security professional, one must always remain vigilant. Read more about the recent 1.5 million dollar heist perpetrated at the Bellagio Casino in our recent blog article, “Are You Concerned About Recent Rash of Casino Robberies?” What types of scams or suspicious behavior have you witnessed while working as a security guard? What tips would you give to someone looking to work as a security professional in Las Vegas? Previous Love Is in the Air! Are You Ready for Your Valentine’s Day Guests? Next Call It What You May … Alcohol Awareness Card … Alcohol Education Card … Drink Card … But There’s Only One TAM Card! Pingback: Casino Security – A New TV Show to Profile Vegas Cheaters | TAM® Nation in Vegas!